More discussion of Levi Jung-Ruivivar because duh. We’re 99% sure she invented the violin. Don’t worry about it. 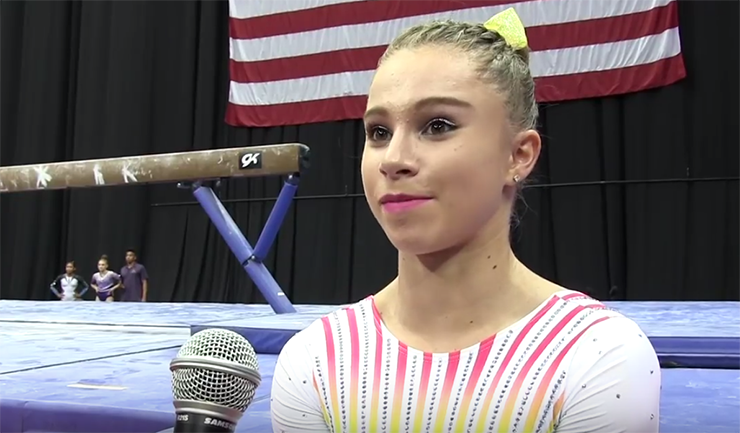 Is Yoder the new pommel prince? Will Modi keep getting Brenna’d? Who are the NCAAers to watch? Are the guys just going to phone it in because they’re too cool for school? Paul Ruggeri is engaged. You’ve both done very well. We have more info about how the International Elite Committee changed the qualifying rules for nationals AFTER US Classic, and we rant about the IEC. We have NEW SWAG available in the GymCastic store! So You Think You Can Dutch? Listen for details on our Boston meet-up and and Precision Choreography contest at The Greatest Bar from 4:30-5:30 on Sunday before women’ finals!